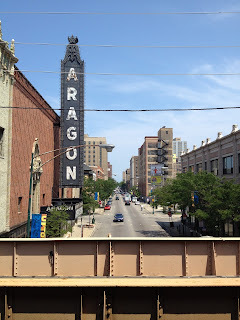 The Aragon Ballroom (Facebook Page) is a ballroom in Chicago, Illinois and was completed in 1926. It is located on West Lawrence Avenue, approximately 5 miles north of downtown, in the Uptown neighborhood. 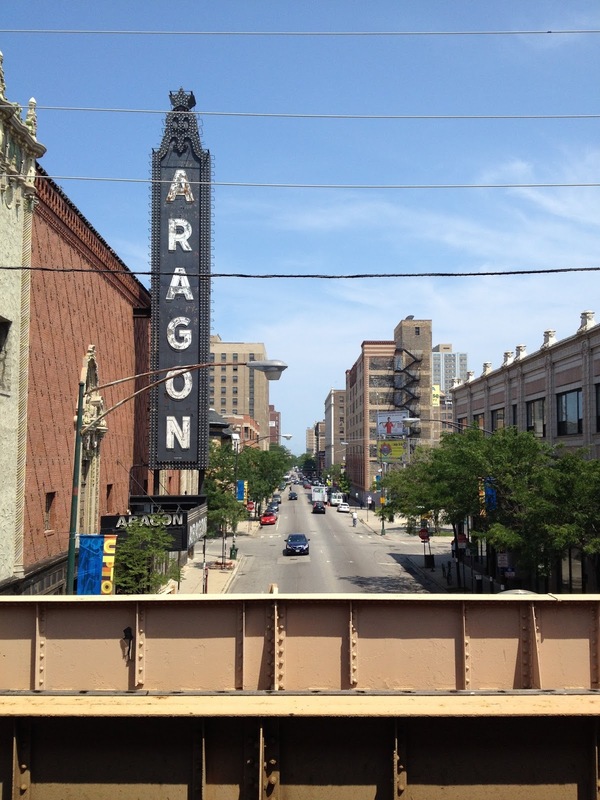 In its heyday, the Aragon was considered the home of the so-called "Monster Rock" shows. The photograph was taken from the Lawrence Avenue Chicago 'L' stop facing East on July 10, 2015.